Still haunted by nightmares of her mother?s death, fifteen-year-old Sienna Jones reluctantly travels to Indonesia with her father?s relief team to help tsunami orphans with their post traumatic stress disorder?something Sienna knows a lot about. Since her mother?s plane went missing over the Indian Ocean three years before, Sienna doesn?t do anything if it involves the ocean or planes, so this trip is a big step forward. But the last thing she expects is to fall for Deni, a brooding Indonesian boy who lives at the orphanage, and just so happens to be HOT. When Deni hears a rumor that his father may be alive, Sienna doesn?t think twice about running away with him to the epicenter of the disaster. Unfortunately, what they find there could break both their hearts. 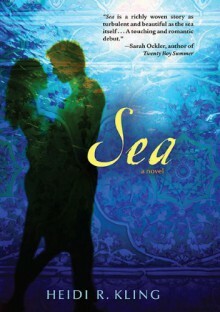 A compelling summer romance, Sea marks the arrival of a stunning new voice in YA.